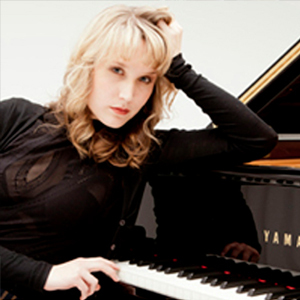 Pianist, vocalist, and composer Sarah McKenzie is “already in full possession of an individualistic voice,” DownBeat Magazine. She has been described as an Australian national treasure, whose album Close Your Eyes won ‘Best Jazz Album’ at the 2012 ARIA Awards. She has performed throughout Australia and Europe, and toured with Michael Bublé, Chris Botti, John Patitucci, and Enrico Rava. Now based in Boston, Sarah had the honour of being invited to perform her own material with The Boston Pops at Symphony Hall. After her highly praised performances at Melbourne International Jazz Festival, the Umbria Jazz Festival, The Boston Arts Festival, and Stonnington Jazz Festival, she has been invited to play the Monterey and Wangaratta Jazz Festivals in 2014. Sarah just graduated from Berklee College of Music on a full tuition scholarship. Her forthcoming album, We Could Be Lovers, was produced by Brian Bacchus (Gregory Porter) and will be launched at this exclusive Sydney performance. Find out why Sarah is making her name on a global stage. An outstanding musician, if you haven’t had the pleasure to hear her live, book fast as this will be a sell-out.